Overtaking at some Formula 1 races could increase by up to fifty percent this year, according to simulations carried out on the new aerodynamic packages. The new aero rules for this season saw the introduction of simpler front wings, bargeboards and brake ducts, as well as a simpler rear wing with a larger DRS opening. The initiatives were designed to make it easier for cars to follow one another and amplify the effect of DRS, with an eye to more sweeping technical changes in 2021. 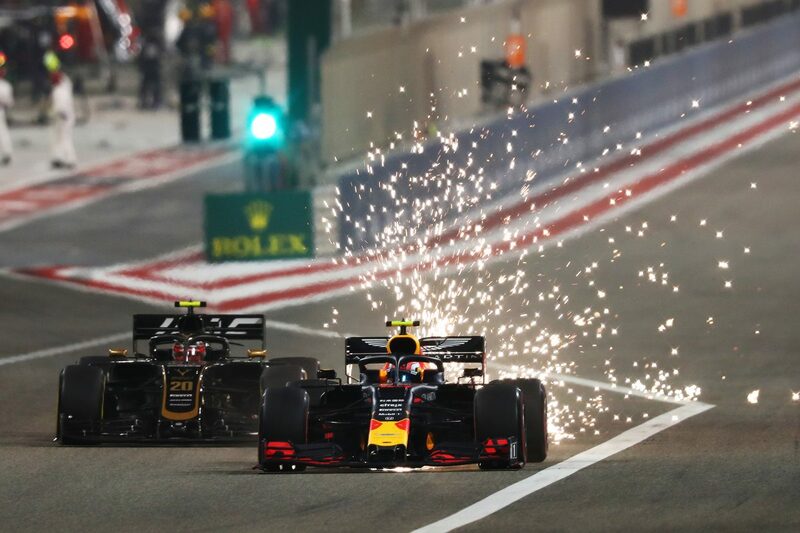 Although drivers were unsure there was much of a difference at the season opener in Australia, they were more positive after last weekend’s Bahrain Grand Prix, where a third DRS zone was added to a circuit already easier to pass on than Albert Park. Speaking ahead of the visit to the Bahrain International Circuit, the FIA’s head of single-seater technical matters, Nikolas Tombazis, detailed the expected increase in overtaking, which will likely vary by circuit. “We were not expecting a huge delta in Australia, which is a difficult track at which to overtake in any case,” Tombazis told the latest edition of the FIA’s Auto magazine. “In other races, the same simulations expect a more sizeable increase, possibly to the tune of +50%. Tombazis says he is satisfied with the direction of the aero rules and is looking forward to seeing how the racing progresses throughout the season. “Looking at the cars in testing and seeing certain solutions (to the changes) there are undoubtedly a few things we might have done slightly differently in the rules, but that’s always the case,” he added. “Overall, I’m pleased with the direction of the aerodynamic characteristics. “However, I think that if we hadn’t gone through this process and we were sitting here writing the 2021 rules we would be in a much weaker position. The next test for Formula 1’s new aero rules will be the Shanghai International Circuit for the Chinese Grand Prix from April 12-14.